It’s that time of year again. The holidays are fast approaching and many the top of the 2013 year are being publicized everywhere. So, here are my favorite books of 2013. Enjoy! I absolutely adored this book. Perhaps adored isn’t the right word. I connected with this book on a level I have only done with very few books, and that is a mark of a very well-crafted novel. This book delves into the lives of two very different students, whose paths cross and become teenage friends. This books is rebellion at its finest. It rips away the prestige of privileged boys and exposes what lies behind them, both in the personal lives of the boys and their school lives. The Raker Island lighthouse is both a symbol and a motif in this novel about four young boys sent to boarding school, the adventures they have, and the revelations of the past. This book delves into the complexities of a woman’s mind, and the relationships with her mother and daughter. Family secrets. Pride. Fear. Self-realization. And it all starts with a small, wooden recipe box that’s traveled the Atlantic from Sweden to the American midwest…and a birth certificate found tucked in the back of it. This small, family heirloom creates doubt, havoc and leads to nearly a lifetime of running: running from everything. Until a best friend’s sad end leads to some unique wishes, statements and sentiments sent in a variety of ways. Like The Keeper of Dawn, I connected with this book. But my connection was much, much stronger with Lee’s novel. Although the storyline is different, the ideas presented above about this book (secrets, pride, fear, realization, doubt, running, wishes, sentiments) are a parallel of my life and my relationship with my mother, my grandmother, and my mother with her mother. This book took a hold on my heart and brought back a decade of bad memories of my relationship with my mother, our selfish and prideful ways, and the memories of my grandmother’s actions toward me at the time and how she acted differently toward my mother. My one regret in life was not going to the hospital to be with my mother when my sister died. It sounds selfish, but I was 11 at the time, I knew virtually nothing about the potential dangers of pregnancy, but I knew something was not right with my mother’s pregnancy. I didn’t go because I blamed her for my sister’s death. This led to over a decade of anger, pride, pain and hurt for both of us. We have since come to a general understanding of one another, and each other’s pain, over this, but we have never discussed my sister and what actually happened. In this way, I (still) feel much like the character Grace dealing with her mother about her past. During this same time as my mother’s last pregnancy, my grandmother was becoming very sick, and died exactly seven months after my sister. I couldn’t understand the enigma of my mother’s relationship with my grandmother, for she was always a mama’s girl, a pleaser. (Yes, I inherited some of this.) I could not understand why my mother seemed to turn into a villain overnight, there was coldness and tension between my mother and grandmother. If truth be told, I think my mother avoided my grandmother as much as possible during this time. In this sense, I felt a little like Emma must have felt about the relationship between her mother, Grace, and her grandmother because I could only see the good from my grandmother, and the bad from my mother. Recently, I found out my mother’s one regret: to apologize to my grandmother (and all of the other implications that apology holds). A very good journey. Both Emma, her mother Grace, and her grandmother experience growth in this novel that is very uncharacteristic of novels today. 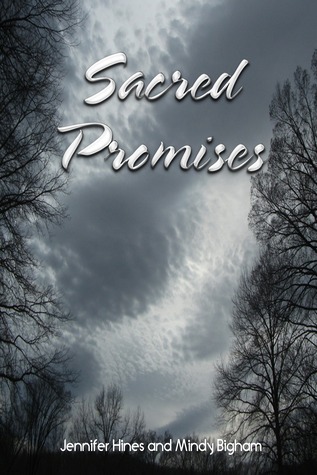 This is a recent read for me and the first in the Sacred Promises series. Hines and Bigham have weaved a very complex tale where the days of olde meet modern day in terms of the writing: royalty meets paranormal. In Abbey’s world a queen is born every 50 years, and she reigns with ten chosen warriors and an appointed council of advisors who usually hail from one of the ruling families. But lately the ruling families have gotten a little too comfy cozy. In the last 200 years no queen has surfaced. The ruling families have made sure that no queen can take hold of their power, and now there is contention amongst even them! One by one they’re going down. But Abbey knows they made a vital mistake, just as Voldemort and his minions did in the Harry Potter series. The ruling families killed Abbey’s parents, but she was rescued by a South American tribal princess, Nevara, who secrets her away in the most obvious of unobvious places: an orphanage. Abbey must keep her mark – the mark of the queen – hidden from others. It is a dead giveaway, and she has not intention of dying young. Nevara trains and schools Abbey until she is 18, when she is sent to one of the five schools of her people. She is sent to the Maramec Conservatory where she will study with other Elementals, Mystics, Watchers and Warriors. Watchers and Warriors are housed together and known as the Knights of Noir, protectors of the people, and kept separate from Elementals, who have a range of abilities with one of the four elements, and of course the very rare Mystics, gifted with sight and healing. But soon Abbey finds herself in the midst of a love triangle…that turns deadly. Even though she is the rightful queen, there is one way for her to lose that honor, and things come dangerously close to that outcome. As Abbey finds herself surrounded by a posse of protectors, she has the makings of her warriors and advisors by her side…but is she strong enough to let them in to know the real Abbey? 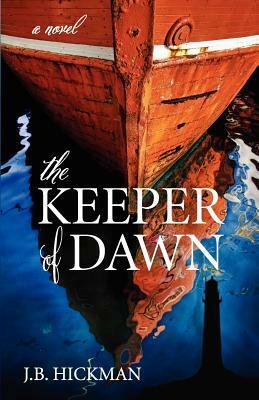 This novel was much more than I expected, and I was amazed at the range of change and growth in the main characters. Abbey struggles with many decisions throughout the novel, and the more problems that develop, the harder it is for her. Through the narration, readers are privy to the change in Abbey that reflect that she will be a kind, just, but strong queen. A very good read with a strong female character. Read my review here. 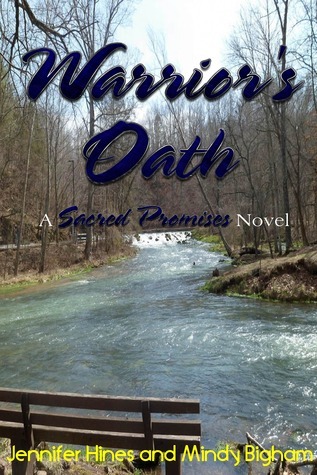 The second book in the Sacred Promises series, Warrior’s Oath, is available. You can read my review of it here. The Divine Order will be available in the spring. This book intrigued me because it is another one of my favorite type of mashups: romance, young adult and sci-fi with an added twist of adrenaline at the end. I was a little skeptical at first, come on, fish people? But it is so well written and sounds entirely plausible. One year after her beloved sister drowned while swimming in cold New England waters, sixteen-year-old Brandi Vine is still struggling to understand what happened. As she mourns on the rocky beach where her sister’s lifeless body washed ashore, she is unaware that a pair of haunting gray eyes is watching her from beneath rolling ocean waves. When Brandi attends a party that goes horribly awry, the mysterious owner of the gray eyes emerges from the ocean depths and comes to her rescue. She only sees him for a few brief moments, but that’s all it takes to turn Brandi’s world upside down. What were the strange markings on his neck that seemed to flutter with every breath? How did he possess such inhuman strength and grace? And why did he look at Brandi with such longing? Brandi’s fascination with the Swimmer grows. She makes it her mission to find him again and learn who – and what – he is. Meanwhile, the Swimmer’s fascination with Brandi compels him to leave the safety of the ocean behind, to be with her at all costs. They are from two different worlds, but neither of the star-crossed romantics can resist the pull of the other. Ultimately, as her feelings for the Swimmer swell beyond her control, Brandi comes to realize that the strange young man from the sea can unlock the secret of her sister’s final swim. This isn’t typical sci-fi fare. 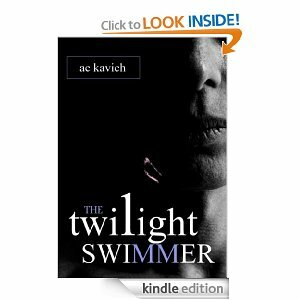 The way the author describes the Swimmer, his abilities, his experiences is extremely scientifically based and entirely believable. But I still can’t figure out what he eats. Brandi’s adolescent experience is entirely authentic. As is her family dynamics that were more than disrupted with the death of her sister. 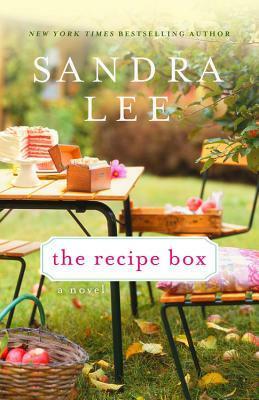 The author also paints a vivid picture of a shrinking costal small town. I have never been to that region of the country. But throughout the book, I felt like I was actually there. I can actually picture these places, the sights, the smells. Amazing. I loved the entire sequence with Brandi trying to teach the Swimmer about her world. I kept on singing songs from “The Little Mermaid” in my head while I was reading. Very light, comical, but not too campy. I definitely did not expect the dramatic twist events during the last part of the book. That is where it turned from an interesting sci-fi romance to a page turner. Fantastic. The ending is very satisfying and complete. I don’t want to spoil the ending, but I was very grateful for the shot of reality injected at the end. Overall, this book is extremely fascinating, very well written, with very good plotlines and themes. I can see most young adult romance lovers liking this even if they usually avoid anything sci-fi. Well done. I have been working for the first time in over a year. Due to my health issues, I am absolutely exhausted when I get home. Too tired to even READ!! That’s tired. I plan on getting back to the blogging thing when I have a few days off in the next week. If I told you that I will review a book for you, please understand. Both Charlie and I are up to our eyeballs with school, work, moving etc. I haven’t read anything other than the newspaper in the past week. That is really unusual. Just wanted to let you know that we are just taking a quick break as we ease in to fall. Look for reviews in the next two weeks. And if you are an author that is requesting a review of your book, please understand that we will get back to you as soon as our schedules allow. We might be getting into November for a potential review date at this point. I grew up daydreaming about fairy tales and my love for discovering new worlds has never died. I am not one of those writers who always knew I would write. I thought that was what other people did until one day a few years ago, I took a challenge from a friend and typed my first words. My journey has been wonderful, and I cannot imagine a day where I would ever give up writing. My love for reading is what fueled my imagination in the first place and still does. When I am not writing or reading, I am enjoying family time with my husband and two children. I also dabble in painting but writing has taken over my creative time right now. I hope to get back to it at some point in my life, but I’m not sure when I’ll have time for it. My family and I live in a quiet community in Northern Utah, and I am so thankful for the rich life I have been blessed with. A friend got you started writing by issuing a challenge. What was the challenge from your friend that eventually got you typing? How did this evolve into writing novels? I hate to admit this, but I went a full ten years without reading anything at all. My life was busy with starting a family, and I had so much to do, books were the last thing on my mind. I was taking a business trip alone and asked a friend if she knew of any books I could read. She told me about a vampire book that was supposedly amazing. She couldn’t really explain the book well to me, but I ended up buying that book. By now, you probably know I’m talking about Twilight. Love or hate it, for me, it will always be special because it was the book that started me reading again, which, in turn, fueled my imagination. This same friend told me all the time how much she wanted to be a writer. I thought that was great, but I had no desire to write. In fact, I never really tried it outside of high school. So when I had a character come into my mind and tell me about an amazing world, I was intrigued. I let my mind wander on my way to and from work and eventually had a complete concept for a story in my head. I didn’t know the first thing about writing, so I went to my friend and tried to give her my story. She looked at me in the parking lot of the movie theater where we saw Eclipse together and told me if I had a story, I needed to write it. The idea of Rayla’s story not being told was traumatic to me. I couldn’t live with that, so I started typing and eventually had a solid story I was happy with. It was really never an option not to publish my Elemental Enmity series. I wanted to share the story with the world, so I researched the industry, queried agents and eventually learned what I needed to to make my dream a reality. Emotion. I want readers to get sucked into the world and either become the characters or stand right next to them along their journey. Reading is all about emotion for me and I want my readers to have an amazing experience. I want them to feel like they’ve lived another life when they are done with my books. The experience of writing is amazing. I feel like a detective searching out clues that eventually uncover the nuts and bolts of a story. Some things come very easy, while others require hours of research. Both parts are amazing. Time. I’d love to have more time to write, and maybe someday that will happen. Until then, I do my best to write every day, even if it is only a few minutes after work. Sometimes I wake up in the middle of the night and need to write. It’s hard when an idea hits me and I’m at work or fixing dinner, but somehow, I manage. No matter what, it’s worth it. There are so many authors I love, but I’d have to say that J.K. Rowling influenced me the most. I loved the depth of her world and the intricate connection between characters. C.S. Lewis was the author that made me believe in magic, and Jane Austen made me believe in love. As far as authors I like to read right now, I’m really involved in a few series. The Premonition series by Amy Bartol is fascinating and I am holding my breath for the next book. The Stained series by Ella James has sucked me in within the last few months. I’m on book three and loving it. Nancy Straight’s Touched series is such a refreshing change from the standard paranormal creatures. I’ve gained a new love for Centaurs, lol. Could you describe the mundane details of writing: How many hours a day to you devote to writing? Do you write a draft on paper or at a keyboard? Sure! I write mostly at a keyboard. I can’t really get into writing on paper. The ideas flow more easily on a computer. Not really. I write when I can, lol. Dreamscape isn’t your first novel. You’ve published a four-book series, Elemental Enmity. How did you make the switch to start on this new series, Netherworld? I was writing the last book in my Elemental Enmity series when the main male character from Netherworld invaded my mind. He was such a different character it was easy for me to keep the two separated. I eventually had to put him on hold to finish Horizon, but once I was finished with Horizon, he was back, telling me this amazing tale about worlds within worlds and good versus evil. I have a few books going right now. Stolen, book two of the Stained series by Ella James. Silent Orchids [The Age of Alandria series] by Morgan Wylie, which I’m really enjoying, and I just started Into the Spiral [The Spiral Defenders series] by Erin Danzer. I’d love to! I’m working on the second Netherworld book. I had a name picked out for it, but I will probably change it because it sounds too science fiction. This book continues where Dreamscape leaves off and the world gets deeper with each sentence I write. Thank you!!! For taking a chance on a new author and for being so great to me. I love to hear from readers and I have made so many new friends since I started writing. I have readers all over the world now, which is so amazing. I love to see how similar we all are, no matter where we live or grew up. There are just so many kind and loving people I’m so thankful for and I’m so happy I’ve met them. And thank you so much for having me here today, Charlie! I loved answering your questions! Follow Christie on Twitter or add her on Facebook. There is a beautiful necklace custom-made by Primal Painter along with a signed paperback copy of Dreamscape. There is also a second prize of a $30 gift card. Enter the Rafflecopter giveaway to win! 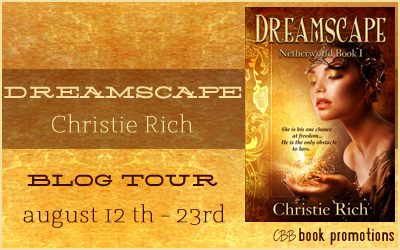 Thanks for stopping by The EBW blog for the Dreamscape tour! This tour is hosted by CBB Book Promotions and you can find the tour page with the schedule and links HERE. I was emailed to review this book after the authors saw the listing for EBW on the indie book review. 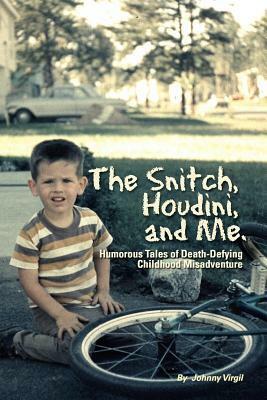 Light, funny, outrageous, but with an educational bent, this book kept me highly entertained. When recent college graduate Allison Amundson, a small town girl from South Dakota, lands the highly sought-after job of scheduler to the newly-elected and rising star of the United States Senate, Senator Anders McDermott III, she initially thinks she is on the fast track to success. However, she quickly learns that crazy co-workers, a high maintenance boss, the boss’s over-the-top demanding family, and an unexpected Presidential bid make Capitol Hill seem even more dysfunctional than it looks on TV. In fact, it is Capitol Hell. Aside from School House Rocks! I know absolutely nothing about the actual political process in this country. At least, nothing after 1946. It was fascinating to read about how things actually work inside a senatorial office. I was struck by the actual amount of work, organization, and ATD (attention to detail) that is required to keep a politician in office and out of his or her own way. Although this is fiction, possibly to protect the guilty, I can see it all being factual in most ways. Everyone who has ever worked in an office knows the characters that surround Allison at every turn. From people who do absolutely nothing and get paid obscene amounts of money for it, to the sycophants, to the incompetent boss (in this case a senator), I found myself sympathizing with Allison and her everyday hell. It was educational in the sense that I really had no idea what a Capitol Hill staffer was and what they do. And I thought they were better paid. What was hilarious was the drama and issues that cropped up each day that are probably left out of the job description when working for a politician. From babysitting the wife, and other staffer’s children, to being available 24/7 to answer questions from the boss in addition to actual job duties, the staffer’s job is never done. Overall, a fun, twisted, lighthearted examination of our nation’s political culture. Recommended for anyone who likes politics or just a good chick lit story.